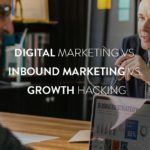 Businesses are faced with the challenge of marketing their product, especially while making the decision on the perfect marketing method to use. TV and print media advertisement could be too expensive for your budget and may be out of your reach. 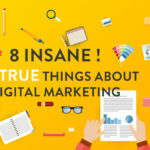 Digital marketing also known as online marketing is a perfect option for you to reach your consumers as the use of the internet can replace other advertising options. It is impossible to survive in e-commerce without active participation in the social media community. Expectations from consumers are high these days and the competition from competitors is becoming fierce. Opportunities and return on investment are increasingly becoming too great to ignore. Some of the strategies to build your e-commerce business are discussed below. Business decisions should be made based on performances while the Key performance indicators (KPIs) should be the driver of actions. The milestone on the way to achieving success in online retail business is the KPIs. Monitoring performances and the indicators will help business owners to identify the progress made towards marketing, sales and customer service goals. Selecting KPIs begins with clearly stating goals and understanding what areas of business impact those goals. After you have set goals and selected KPIs, monitoring those signals should become an everyday exercise. And most importantly, Performance should inform business decisions, and you should use KPIs to drive actions. You shouldn’t dive into paid advertising or content marketing without knowing specifically who your purchasers are. Knowing and understanding who buys, or will certainly buy your products will be imperative to help you maximize your advertising return-on-investment and content effectiveness. A marketing persona is an amalgamated sketch of an important segment of your target audience. For content marketing purposes, you require personas to help you deliver content that will be most related and useful to your target audience. To understand core client groups, it has to turn into a standard for many companies to produce buyer (or customer) personas. Buyer personas are fictional, generalized characters that develop a picture of your ideal and greatest markets. They usually encompass not only demographic information like age, location, and earnings but also psychographic info like interests, reasons with regard to buying and concerns. Location – Where do people with this personality live? Excluding Location — Where do persons of this persona not reside? Age – What will be the age groups of this particular persona? Gender – What is the gender of men and women with this persona? Interests — Do you know the interests of men and women within this persona? Education Degree – Education degree of this persona? Work Title – What industry of work does your own customer work in and exactly what types of job titles do they carry? Earnings Level – What will be the income selection of this particular buyer persona? Relationship Standing – What is the particular relationship status of this particular buyer persona? Language — What languages do persons in this persona speak? Favorite Websites – Why do they frequent this type of website? Buying Motivation — Psychological reasons with regard to buying your product? Purchasing Concerns – What will be this person’s concerns whenever they are buying your product? With defined buyer personas, your ad targeting and communication stands a much better chance. From increased engagement on your social media channels to a greater ROI for your online ads, taking the time upfront to define your buyer personas can help your online business succeed by better knowing and understanding your core customers. Marketing personas will help you identify with your audience and better solve their problems. And when you resolve their own problems, everyone wins. The best content is interesting, informative and awe inspiring, the rest you wonder how it ever got published. Engaging content makes the person stop everything to spend time and energy reading and taking in your message. It holds the answer to something they’ve been struggling with or wondering about, promises laughter or positive emotions, or helps them learn something they desperately need to know right then. Engaging content has personality, value, and substance. If it lacks any one of those three elements, the content will sound just like everything else on the web. I prefer to measure the ultimate goal of engaging content using conversion rate to subscribers. The need for “engaging content” is ubiquitous. Your company needs to define what it means for your audience and business through proper research, quality content development, and analysis of the metrics most important to your organization. A good engaged following – viewers who know, like, plus trust you. And that will, at its core, is usually how successful content online marketers help fuel sales. Interacting with your audience on interpersonal media is a good way to build that community associated with fans for your brand name. But… what are several of the time-tested, tested social media engagement strategies which have worked for other people? And exactly how can you demonstrate your success when a person tests them? Ways in which you can engage your social media fans include update daily post on Social Media pages with latest news and updates; Network or Socialize the page among the people in social media to get it promoted; post good content with good illustrations; know about the latest trends of business and how the business could be promoted economically; Promote Positive Reviews; Respond properly to comments and messages as well as Automating your social media accounts. Email marketing can be HUGE for e-commerce stores and online retailers. How to Set It Up??? Welcome them to the family: A welcome message to your customers. Begin the brand indoctrination process: Let them know the story of your brand and why you are different from your competitors. Get them excited about doing business with you. Give them the incentive: If you offered them a coupon in exchange for their email address, give them the coupon code in the email PLUS a dead-obvious call-to-action (ie. Like us button) that takes them to your website to use their coupon. If you offered a PDF or something else, give them a link to it here. Set expectations: You would like them to be looking forward to your future emails, so let them know what you’ll be doing with them in future. Will you just be blasting them with promotions and random discounts, or will you be providing helpful content, cool videos, or something else? Encourage subscribers to link with you on other channels: Right now it’s time so that you can give a link to your social media information. Usually, do not, and I repeat DO NOT set this as the sole focus of your email. A person knows, the place exactly where men and women actually buy things. However, do make certain in order to mention your social media marketing users towards the ending of the emails, and give your users grounds to attach along with you on those systems (i.e. Like us on Facebook to know about forthcoming deals, competitions, and consumer stories as an alternative to just liking us On Facebook). No matter the nature of your business, you require a great website that maximizes your online potential by streamlining your business and increasing sales. Your site is the user interface in your way on the path to your customers. Simply like a business credit card in days gone by, it’s the general public face of your business, and it is crucial it works for you. You will also require a Virtual assistant to help make your customer have fun on your site. A virtual assistant skilled in customer support is very capable of troubleshooting and answering customer inquiries via email, live chat, and phone. In fact, not only can your VA handle sales inquiries, but s/he can also handle sticky customer service difficulties – disgruntled customers, lost shipments, broken merchandise, etc. – with tact and professionalism – exactly the way you will. Product earnings and exchanges are inevitable for most e-commerce businesses, but these, thankfully, are another task that your virtual assistant can simply manage. S/he’ll communicate directly with your customers and suppliers and easily arrange for seamless product returns, exchanges, and refunds. Fierce competition can be your best friend, challenging you to make your business stronger, your customer support better, and your products more diverse. But part of meeting this challenge is understanding it – understanding your competition, comparing your prices to other companies, and seeing how your customer service stacks up (how attractive is your return policy?) to your competitors. A good hypothesis needs to be based on some form of limited evidence. Testing random elements on the page without any limited evidence that the change will help improve conversions will very likely lead to poor results. A/B testing (also known as split testing or bucket testing) is a method of comparing two versions of a web page or app against each other to determine which one performs better. AB testing is essentially an experiment where two or more variants of a page are shown to users at random, and statistical analysis is used to determine which variation performs better for a given conversion goal. Running an AB test that directly compares a variation against a current experience lets you ask focused questions about changes to your website or app, and then collect data about the impact of that change. I encourage you to start A/B testing for your cart and checkout pages on your eCommerce site today to unlock the hidden conversions there. Relatively few people are testing right now, and by doing so you’ll be able to gain that competitive advantage that few have. When was the last time you checked your cell phone? When was the last time you looked in social media or software on your cell phone? I’m guessing your response is within “a few mins ago,” or probably at most, an hr ago. If so — you’re not the only one. Americans on average invest over 10 hours per day on screens plus about five of individuals’ hours are spent on their Smartphone. Is your own brand where your customers are looking? Mobile marketing gives new opportunities in order to reach audiences at the particular right time and within the right destination to get a message across or stimulate using your mobile software and services. It’s presently only utilized by the experienced and more dynamic targeting taking benefit from lower expenses and higher prices where competition for advertisement inventory is less. Apart from making sure that your website is mobile friendly, it is important that you furthermore design your advertisements so that it can be viewed on little screens. That doesn’t simply mean shrinking the versions you already have. Make sure the advertisements are still clear and concise and clickable. An advertisement that looked beautiful upon a full website or digital magazine spread will certainly be completely illegible on mobile device because of an in-feed square piece. Customers are looking with regard to respectful, valuable and entertaining content that looks great on every screen size. While this looks a little bit daunting, know that it’s worth the budget. Consumers are itching to buy; you just need to give them a reason to. Online video is quickly becoming one of the most crucial and inventive parts of the modern marketing mix. It can appear daunting to dive into, but this piece provides a good spot to start for understanding how much more comprehensive video can be a weapon in your arsenal whenever you approach it with the balance of strategy, incorporation, and measurement. Video usage is constantly on the increase on the internet. In fact, 43 percent more videos had been watched online from 2013 to 2014. That’s 37.2 billion videos within 365 days. All those are some staggering figures, and most marketers are usually starting to understand that figures like these translate to huge opportunity when moved into a business framework. Your video is the direct reflection of your own brand. Don’t try to skimp on production expenses as the cost will definitely bring about a huge benefit. If your video consists of interviews with company creators or other members associated with the team, those require being natural, genuine conversations. Location-based advertising hinges around the proven fact that wherever we go nowadays we always have a mobile device with all of us. And nearly all of us quite happily share our location with the various programs we use. A couple of recent consumer research shows a willingness to share personal data such as location, highlighting the fact that although it could be easy for consumers to engage with location-based campaigns, it does not mean they will. In accordance with the survey conducted by Boxever, 60% of consumers indicated that they need offers that are aimed at where they are and what they may be doing, contrastingly 62% declared that they don’t want brands tracking their location. Consumers want a frictionless journey as they move between channels and devices, an experience that improves their day-to-day, and today with mobile representing the growth of retails storefronts; it is time for all marketers to make the jump forward embracing location-based marketing. If adverts are properly targeted, they are almost certain to be more relevant and therefore much less likely to be blocked or ignored. Loyalty programs are a great method to say thanks to your own best customers; nonetheless they furthermore really encourage repeat business. In addition, loyalty programs let you collect valuable contact information that will help build your own marketing database. When completely wrong, nevertheless, they may be a huge waste of materials (time and other resources), getting a tiresome burden regarding customers who have simply no interest in getting included with the program. A person wants to ascertain that your benefits are reasonably attainable for the customers, but you do not wish to give away the particular farm either. Be cautious to strike a comfy balance for your company. To take benefit from “artificial advancement,” there has to be the clear-cut goal that clients can look forward in order to and contains to align along with a desire of their own. We are wired in order to want to maintain the status when we understand that we are defeating other users. So when you do make decisions to implement a long-standing consumer loyalty program, make certain to think about your “Platinum” users and exactly how you might differentiate their program to reward their ideal spending on your business. We all know it’s more expensive and difficult to get a new customer than it is to keep a current one. Focus on rewarding your best customers through a loyalty program. The focal point of the above-mentioned tools can be different for different businesses. It’s all up to you to find and research the best tactics to get a higher number of customers. 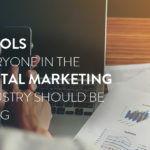 Adopting tools like the ones listed above will help you spend less time managing social media and more time engaging with potential customers on your pages. Do you still have questions about the strategies discussed above? If so, ask your questions in the comment section below! I can do my best to help!